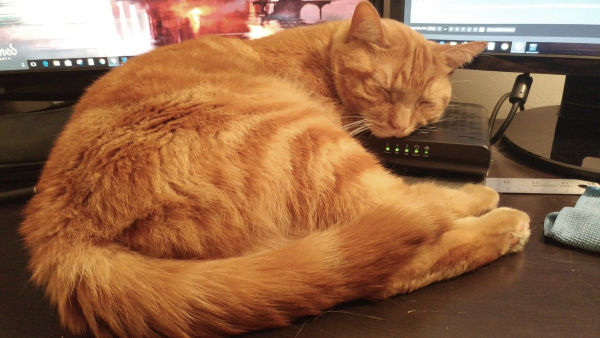 Community Pet Paradise - Post Everything about your pets! Meet Summer. Pomeranian cross chihuahua. that is indeed a VERY good doggo! Bet he is super glad to have you back around. This is my 7 year old cockapoo. Her name is Destiny. oh ... my ... dog! omg, omg, omg ... PLEASE!!! and good luck! 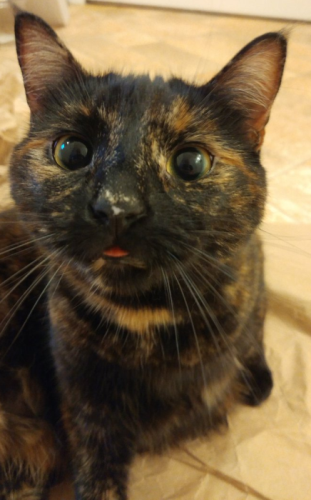 Another one of Poppy, almost looking at the camera. still an EXTREMELY good doggo! 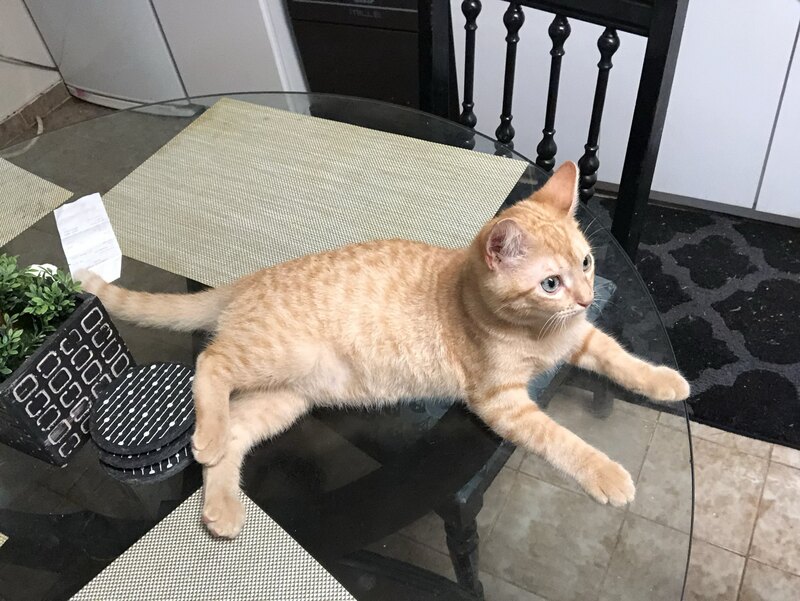 My cat has grown a lot more since last time I posted here. So far he's been very helpful in keeping me company in my apartment, but lately he has grown rapidly. He's been a bundle of joy & wouldn't wish anything else for myself. Plus he sleeps a lot in the bed. 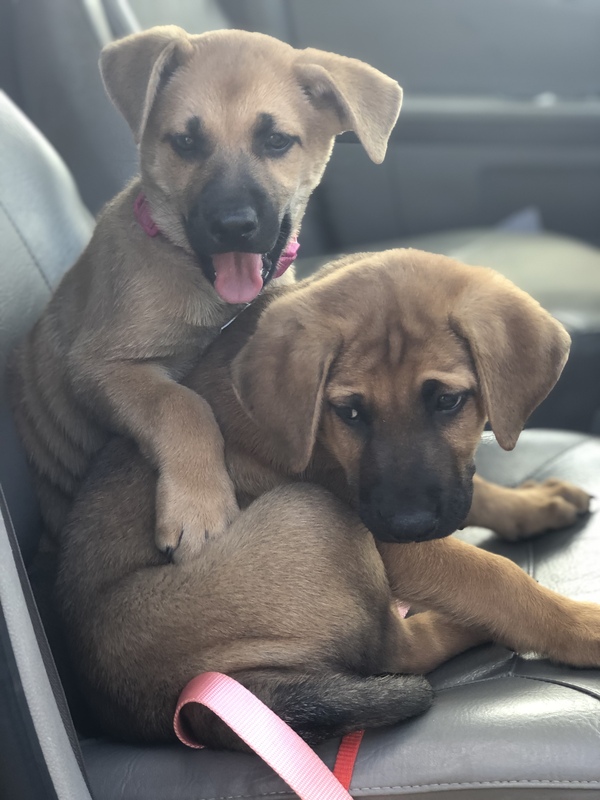 Around the same time that I got Hermes, the German Shepard that is in my folk's place gave birth to two mixed puppers, one boy & one girl. My dad named the boy, Lucas while my grandmother, who wanted the girl, named her Crystal. 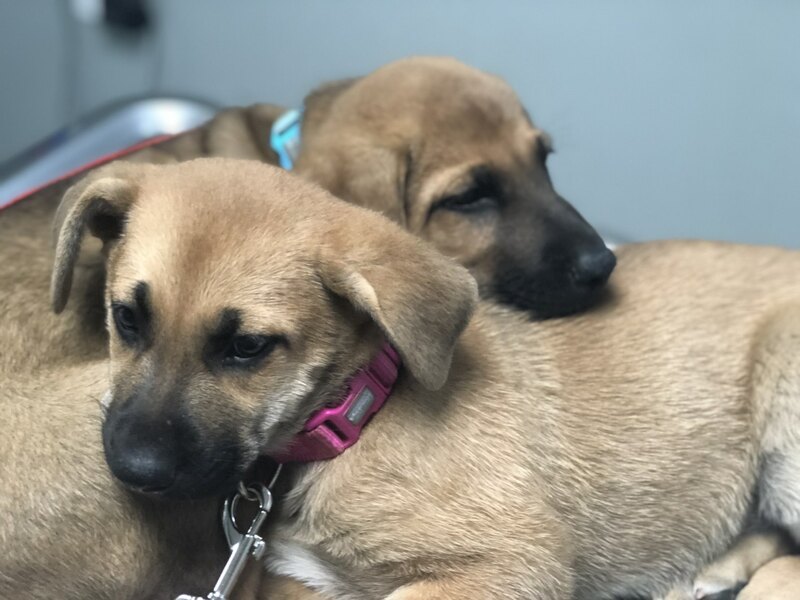 Here they are in their first visit to the vet. Just getting off the car. My new dog Riley. Got her today from a friend of my aunt's. She's a rottweiler mix of some kind we're not really sure yet. 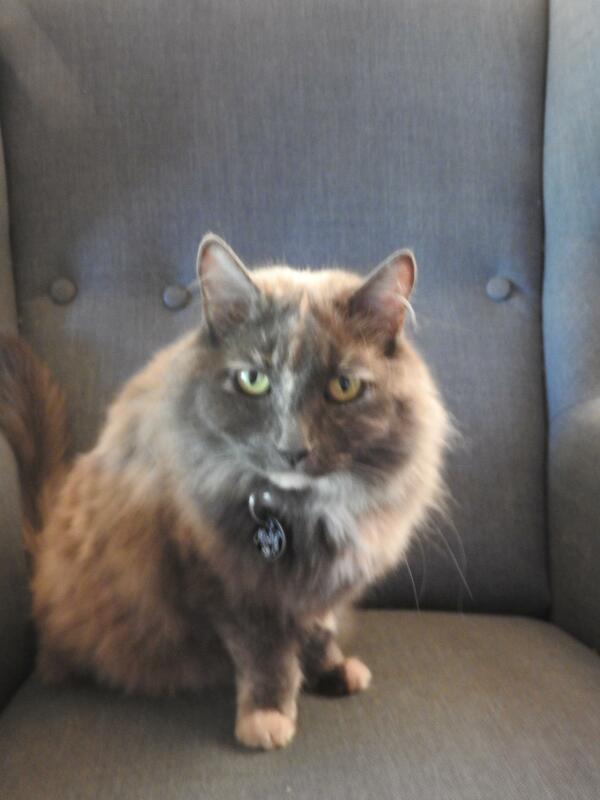 She showed up to their door in november and they've been trying to find a home for her since. Not going to lie though while she'd adorable and a total sweetheart she's also really hyper and so far has trouble leaving me alone for more than a few minutes lol. 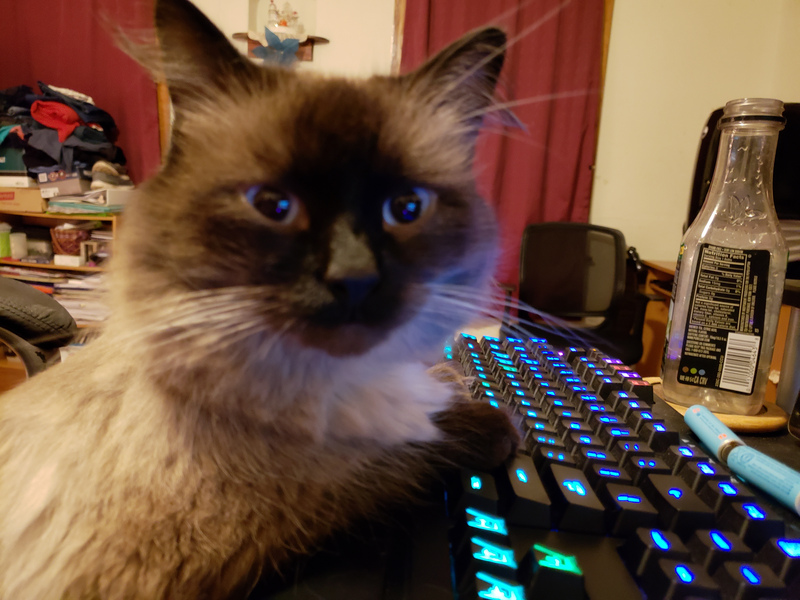 Hard to get any game time when she wants attention at all times. a VERY good doggo nevertheless! Hard to get any game time when she wants attention at all times. Pet that doggo & say she's a good girl. She deserves it. Blurry picture of the cat. Not sure about good yet haha. But she doesn't bark seemingly at anything, doesn't chew anything up (yet...) and likes to play but not rough which is good considering her size. She woke me up today at 6:30am by slamming her face into the back of my head and then have her front half on top of me including a sharp elbow planted on my trachea. Sweet dog but possibly a potential murderer, I'll have to keep my eye on her. 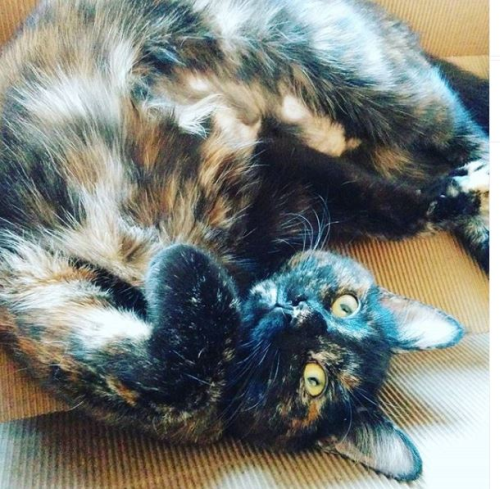 Watch out, she's about 80% cuddle floof, 20% murder floof. yes ... please post more, Wibblewozzer! I'll be updating with a bunch of old favorites while also mixing in new stuff as it comes along. Fin is definitely part Dingo. That one with the tongue out is lovely. 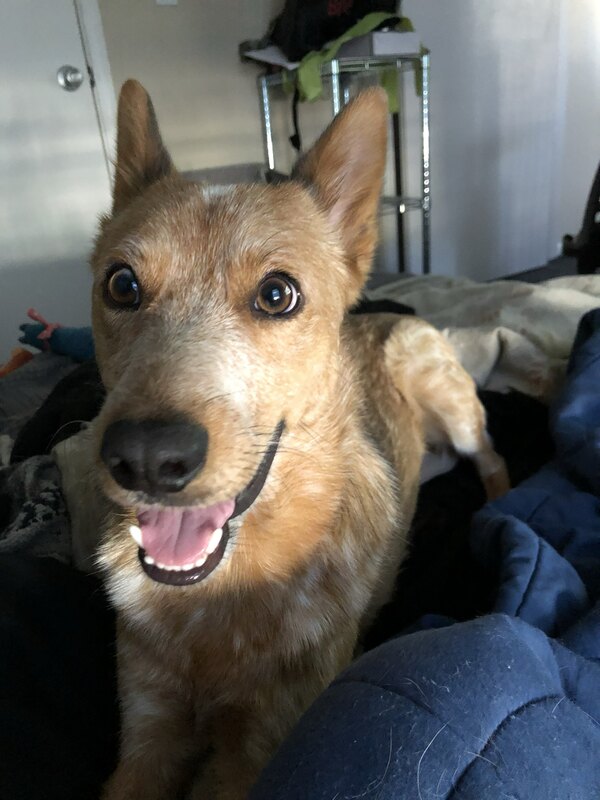 Well, due to his breed, that's definitely the case as heelers/Australian cattle dogs were started by breeding dingoes into a different cattle dog of that time. 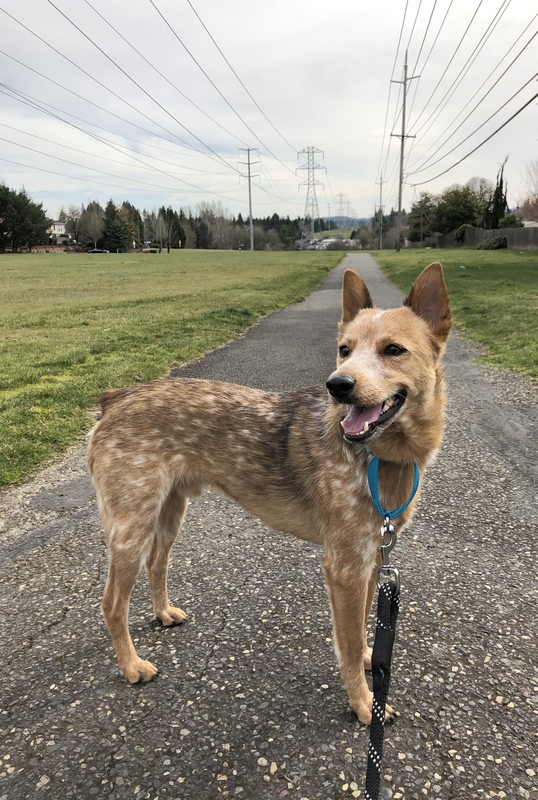 But compared to full cattle dogs his mix gives the impression he has more dingo than normal. 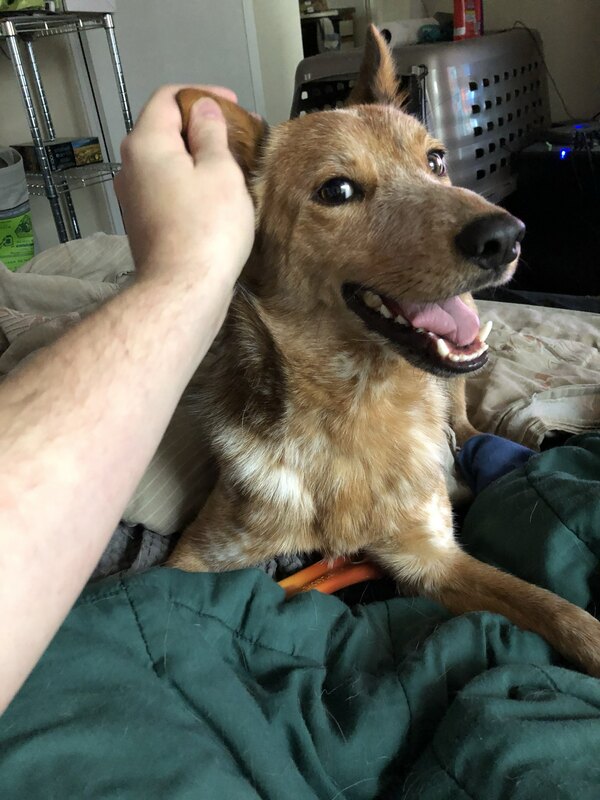 Most people just say he looks part fox or coyote since he has a look of a wild dog with some traits but that's just because they aren't familiar with dingoes. 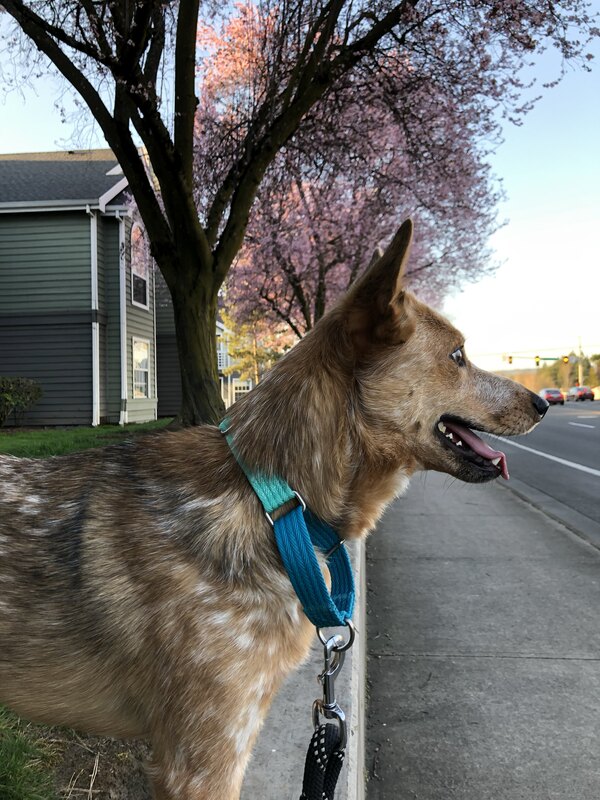 He's definitely More Stumpy-Tailed Cattle Dog than Red Heeler. The former tends to have a thinner head compared to the later with big thick ones. 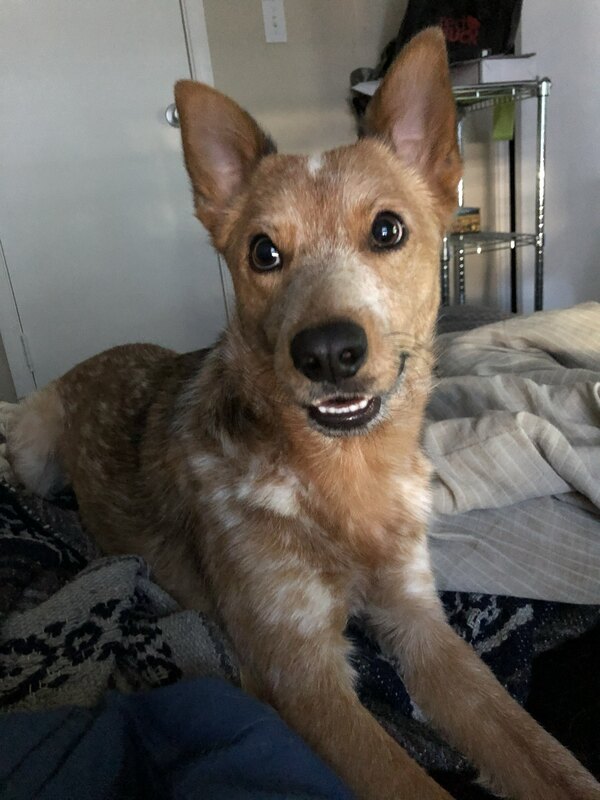 My Dad had a Red Heeler and he had a massive head! Yeah, the stumpy tailed, from what I’ve read, is reserved to blue heelers. 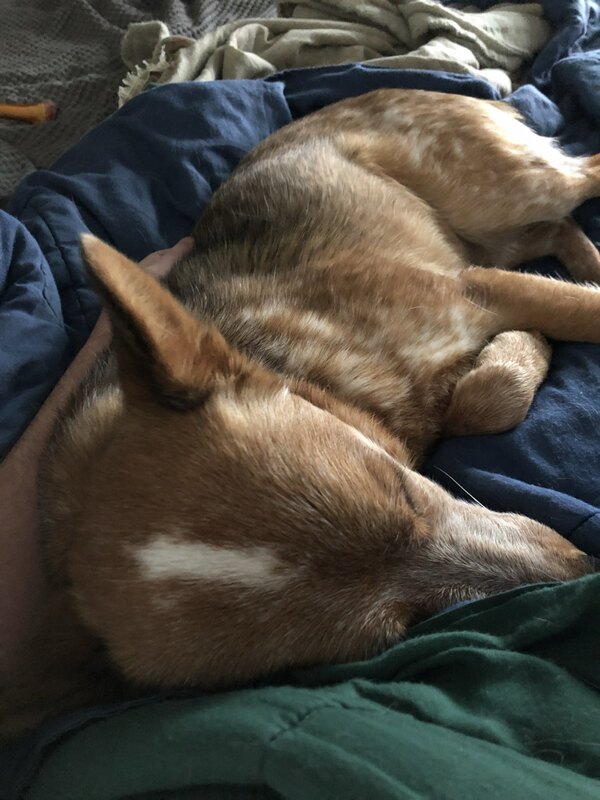 I’ve just assumed he’s a heeler mix between blue and red. The vet believes the stump tail he has is natural and I’ve prodded him as well to verify for myself. But that explains some of his characteristics. I do think he still has something else in him, too. Omg this thread makes me so happy Such adorable pets! holy moly .... CUTENESS OVERLOAD!!! 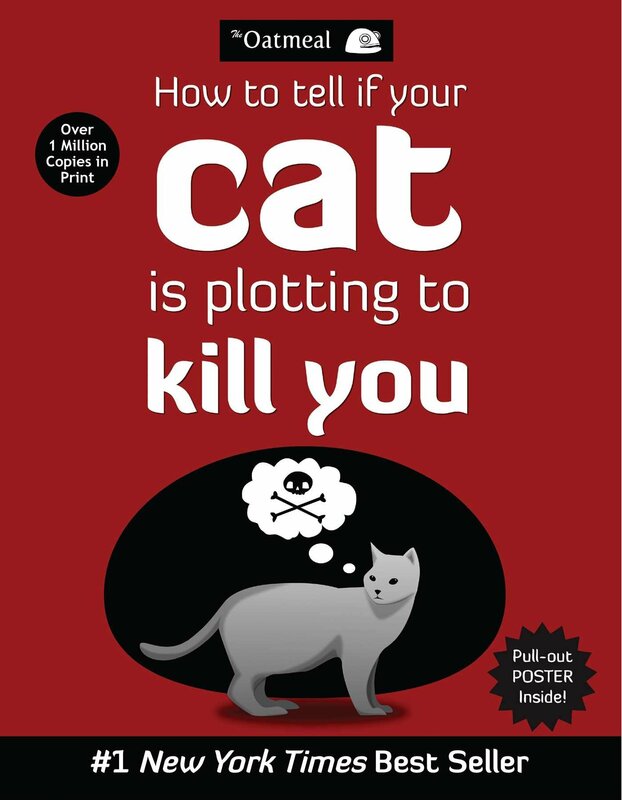 Your cats are adorable, Minerva ! This thread is a great cure for a rough day and Minerva's absolutely cute cats encouraged me to share a few of my three monsters. Thanks! Rocky is the only real problem child. 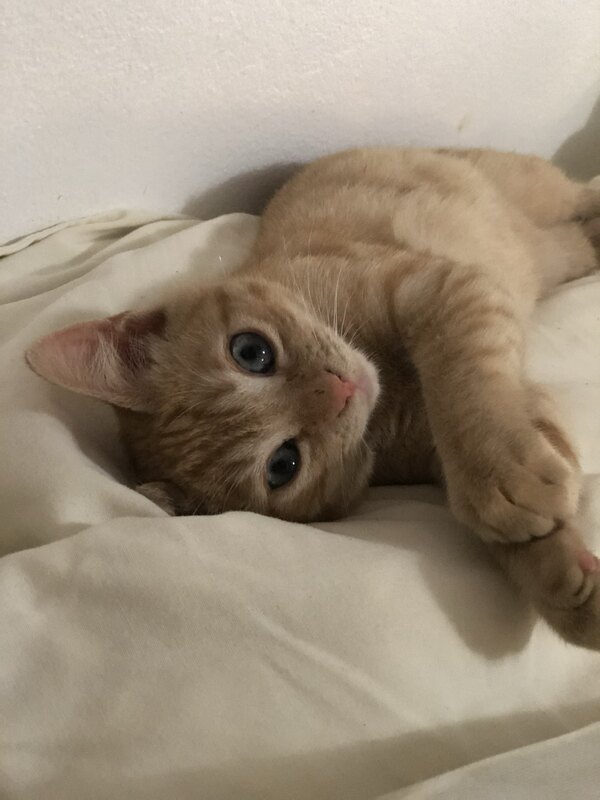 He's been a little terror since he was a kitten, but once he finally calms down for the day he's great. 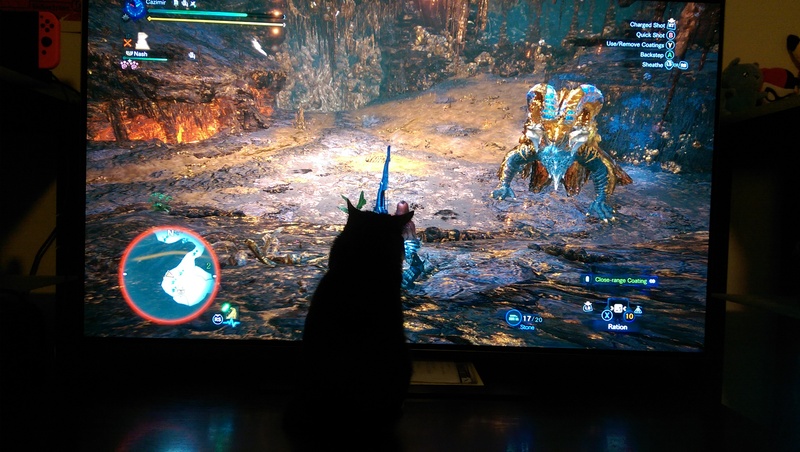 Really loves watching Monster Hunter World too. 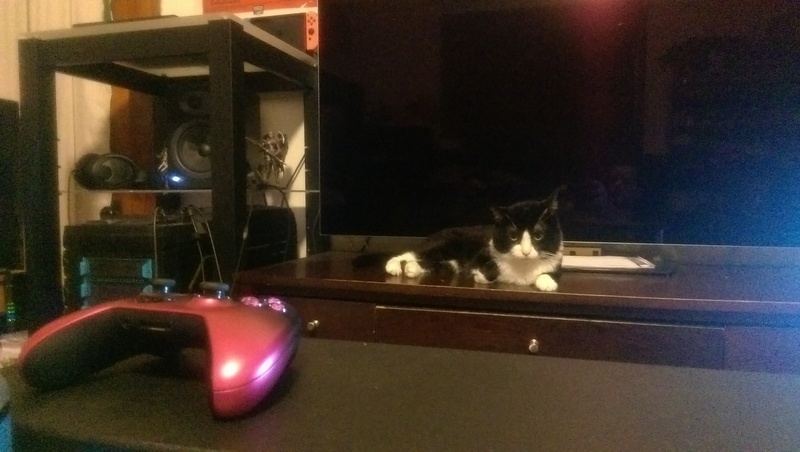 I see Wally is a PC gamer, while Rocky is more partial to consoles. Ha! Thanks! Both love to interfere in their own way, though both only do so during my PC time. The rare times that I fire up my Switch or PS4 they're nowhere to be found. 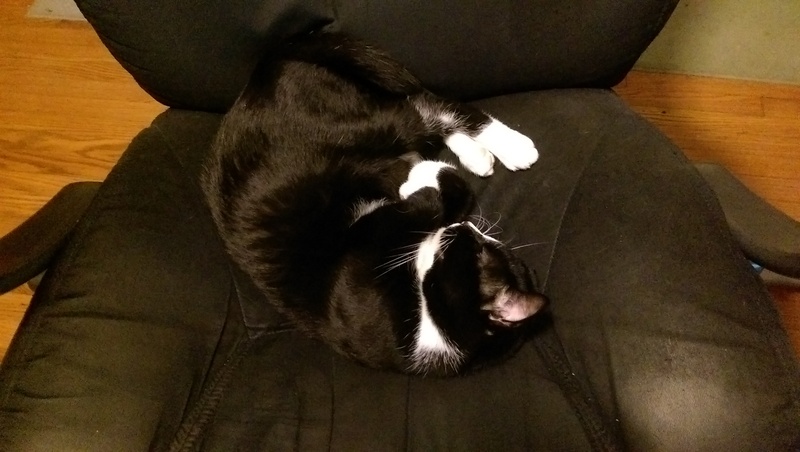 Mitsy on the other hand is always right in the middle of my chair no matter what's going on. 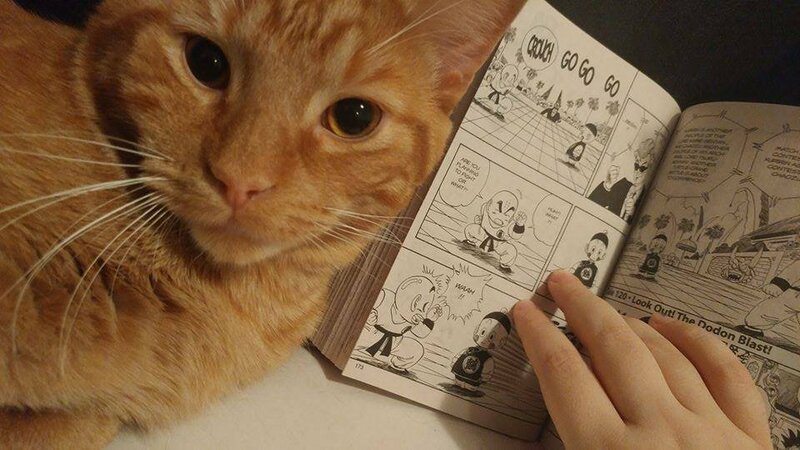 And unfortunately I don't have any pictures of Rocky while I was playing Sekiro or Yakuza. He made reading subtitles a very difficult task since I could only catch the beginning and ending of most sentences. This thread makes me so happy, i absolutely love cats and dogs! Sooo, i thought i'd share a couple pictures of my 13 year old cat, Pekko!